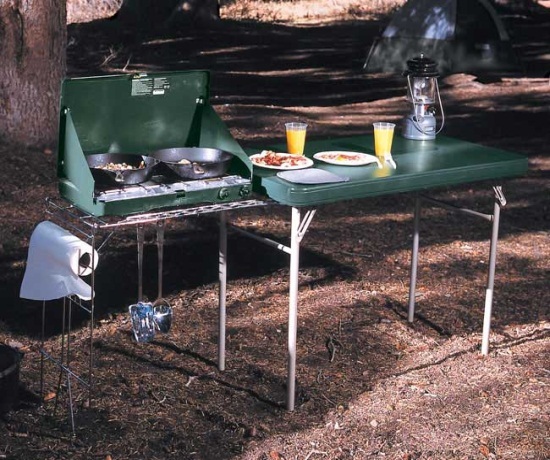 This durable dual-purpose folding camp table with rack offers a picnic surface and grill stand all in one! Lifetime plastic camping folding tables tops are molded of high-impact polyethylene and built for all-weather use. They are strong, lightweight, durable, and contain UV inhibitors to protect against fading and cracking. The portable picnic tables surface is stain resistant and easy to clean. The steel frame features a powder-coated, weather-resistant finish. 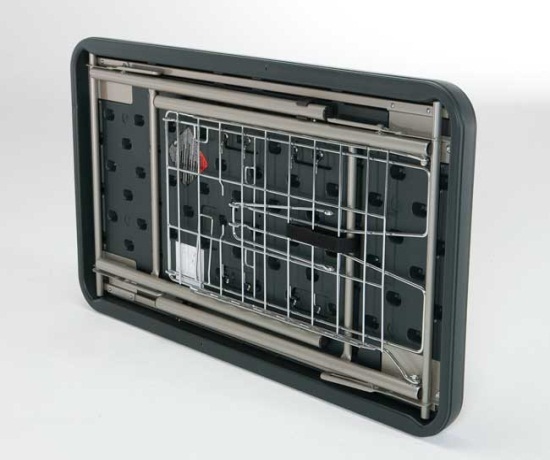 The Lifetime Folding Tables chrome stove rack features Built In utensil hooks to hold your spatula and other utensils, paper towel holder and garbage bag holder. The 28190 Lifetime Camp Tables fold flat for storage and are backed by a five-year warranty. 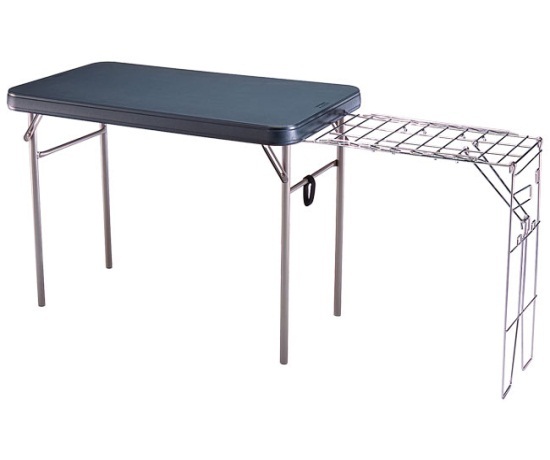 You can get volume discounts on camping tables and folding picnic tables from Competitive Edge Products, Inc.
Save 50% off each additional Lifetime Camp Table With Stove Rack via our best way shipping when you purchase more than 1 at a time. The portable camp table 8190 is usually shipped via FedEx home delivery or FedEx Ground to Businesses. If you need multiple camp tables consider our Lifetime Products 8190 32 pack of portable camp tables which offers free shipping. Get your Camp Furniture from Competitive Edge Products, Inc.
See other product lines at Competitive Edge home page. Please also see our Lifetime Table category page for more product selection. These tables are great. Especially if limited on space. Thanks again!!!!!! Awesome Table!!! Light enough yet sturdy and the height is perfect. Thanks! THANKS! FAST SHIPPING! TABLE WILL BE GREAT FOR CAMPING THIS SUMMER! Super table at a super price. Recommend. 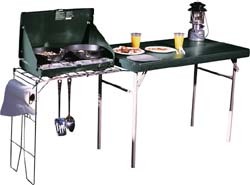 Great camp stove table. Can't wait to use it. Pleasure doing business with you! Dimensions: 42" x 25" x 3"